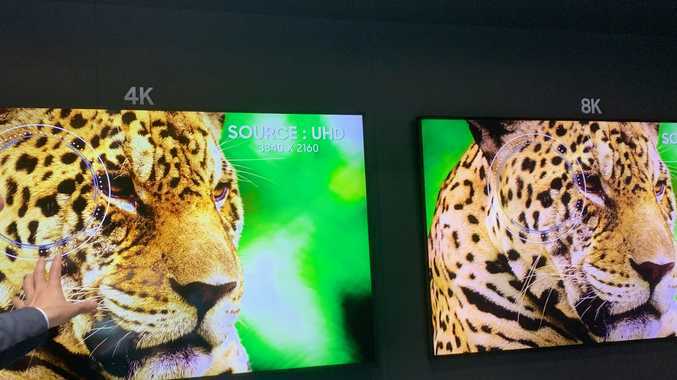 IF you don't know your HDs from your 4Ks then 8K TV technology isn't going to mean much to you. But in a few short years it will - and it will revolutionise your home TV viewing experience. Samsung this week showcased its full 2019 TV range at their South East Asia forum in Singapore, and 8K was front and centre. And bigger really is better. 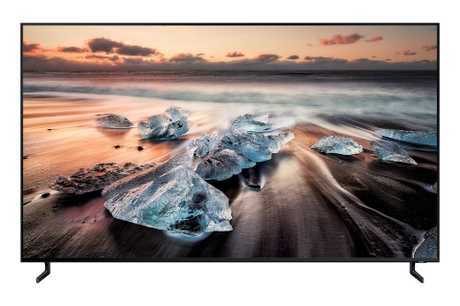 Samsung unveiled its 98" QLED 8K - it's largest yet - adding to its 2019 line-up that features 65", 75", 82", and 85" models. 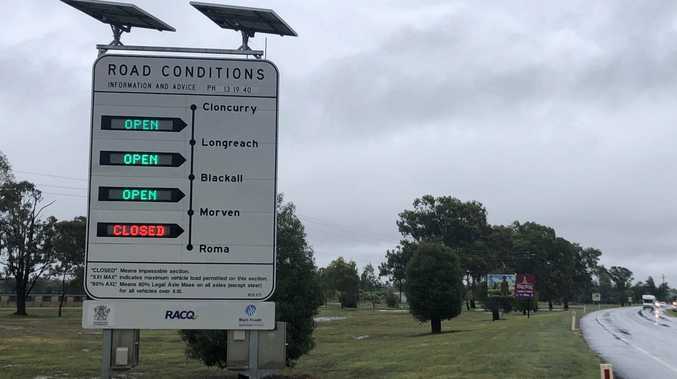 And this will be music to the ears of Aussie consumers. Simon Sims, Samsung's Regional Head of TV said "Samsung is always pushing the boundaries of quality and innovation. 8K is the start of a new era for TVs. The 8K revolution is now and consumers shouldn't have to wait." Samsung SEAO's Regional Head of TV unveiling their 2019 QLED range. Picture: Claire Gould. But given we've yet to reach critical mass of consumer using 4K technology, surely we're going to be waiting years for 8K content to become the norm? Enter smart upscaling - called AI or artificial intelligence upscaling - that converts existing content into the higher 8K resolution through machine learning. Essentially if you have an 8K TV with no 8K content, the TV is smart enough to try and covert that content to the highest resolution possible - meaning you'll always have a superior screen experience. 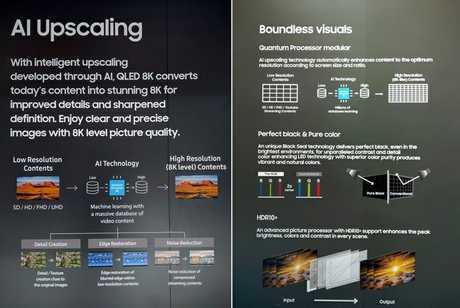 Samsung's 8K Quantum processor promises to detect the type of content that is on screen so it knows how to better simulate more detail in the video. "The Superbowl was shot in 8K,'' Jeremy Senior, Head of Consumer Electronics for Samsung Australia said. "Film studios are already using 8K to shoot their movies. We'll see a real acceleration in this quality of content in the net while." The new TV also comes with an upgraded Ultra Viewing angle technology, which allows users to view the TVs at any angle and without the worry of glare and reflections diminishing the viewing experience. 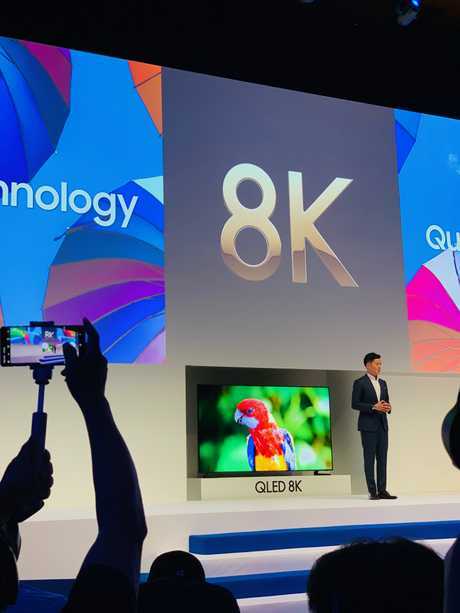 Other key products in the 2019 QLED line-up include a suite of 8K and 4K TVs, including the 8K Q950R that ranges from 65-inch to 98-inch in size, as well as the 4K Q90R, Q85R, Q80R, Q70R and Q60R that range from 43-inch to 82-inch in size. In total, the expanded 2019 QLED line-up features more than 20 models and includes more large-screen models. Remarkably 65" TV screens are the new norm for Australian homes, with 75" screens not far behind. When you consider that we have the biggest houses in the world after the USA, our need for bigger and TV technology is understandable. And with sporting fixtures being one of the main drivers for Aussie consumers upgrading their home entertainment, it won't be long before we're all early adopters. The Samsung 2019 TV range will be available in Australia in mid-April. The writer was in Singapore as a guest of Samsung Australia.